2) Music composed independently of the show/game but used in the show or game, like Wagner’s “Ride of the Valkyries” in Apocalypse Now or “I’m Not in Love” by 10cc at the start of Guardians of the Galaxy. I’m a huge fan of both kinds of soundtracks; I love big, brash orchestral scores, the ones that you can get lost in, usually from folks like John Williams, Jerry Goldsmith and Hans Zimmer. I also love soundtracks that bring together a collection of popular songs or new material by popular artists and create a mixtape of sorts. This approach has produced some remarkable “type 2” compilations; New Moon, for example, has a great mix of alternative tracks including Thom Yorke and Death Cab for Cutie … in fact, all the Twilight films have had good soundtracks (both score AND songs played). As I grew up, I had the soundtracks to Flash and The Black Hole to keep me company. I also had the tracks used on films like Pump Up the Volume and Good Morning, Vietnam. These albums filled my days with joy. 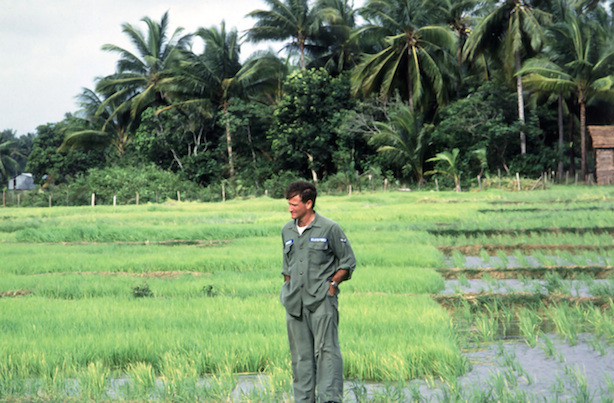 It is the recent passing of Robin Williams that has prompted me to write this piece because it is through the soundtrack to Good Morning, Vietnam that I fell in love with Williams’ zany, improvised humour … and it is through this OST that I’ll miss him the most. – Robin Williams as Adrian Cronauer. Williams added something magical to that soundtrack. The voice-overs used in between the classic sixties soul and pop tracks really made the music itself come alive. His introductions to Martha Reeves & the Vandellas and James Brown are truly sublime. I can’t hear those tracks without thinking of Williams. I loved the film when I finally saw it and could parrot the lines featured on the OST with a reasonable success rate … all because of what I’d heard. 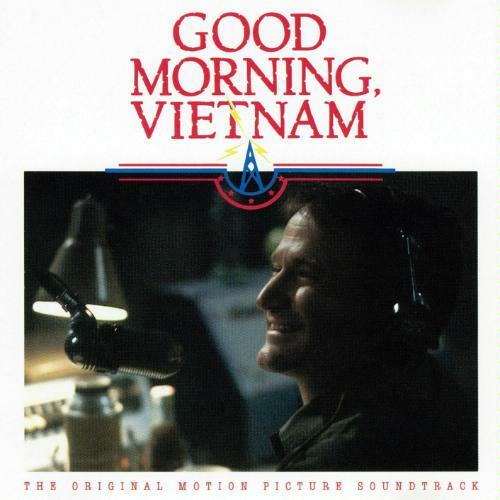 For me the soundtrack to Good Morning, Vietnam is the quintessential type 2 soundtrack. It introduced me to so many great songs from so many great bands, some I’ve sought more from. That, for me, is the sign of a great type 2 OST: it narrates the film AND acts as an introduction to bands that you might not have known about previously. I am gutted that Robin Williams is no longer with us but I’m glad I still have a piece of him on this soundtrack. Robin Williams, you are missed!